“A future where everyone feels included and diversity is encouraged. That has been, and continues to be, our collective call to action. 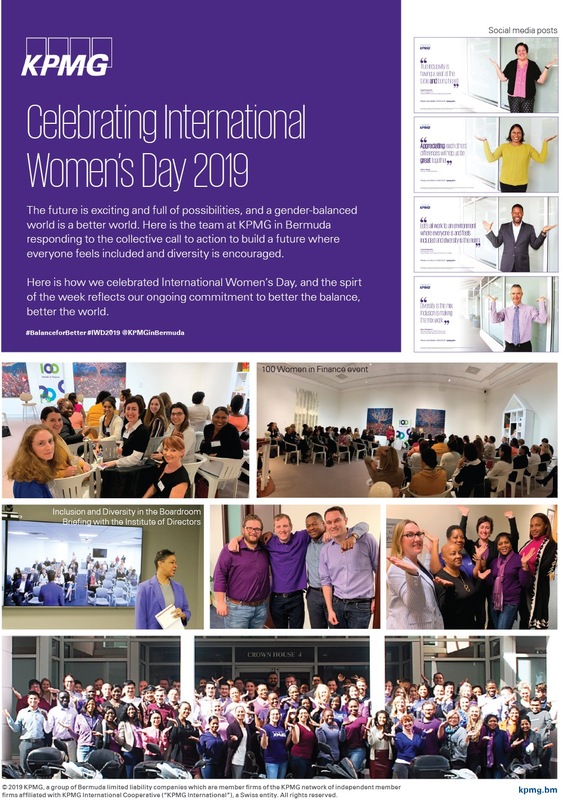 It is how we bring out the best in our people and how we bring the best to our clients and communities,” said Craig Bridgewater, Managing Director and Head of People, Performance & Culture, KPMG in Bermuda.